Which Ivy (or non-Ivy) has the students with the highest cognitive ability, you ask? We came across an article in “The Harvard Crimson” yesterday that describes a study conducted by Lumosity in which the company examined more than 60,000 college students on over 400 American college campuses. So what did this company examine? Well, according to “The Harvard Crimson,” “this study analyzed results from online games that use neuroscience to measure five aspects that contribute to intelligence: speed, attention, flexibility, memory, and problem solving.” So are you curious which universities had the students with the highest cognitive ability? We’re a bit curious ourselves! MIT may not be in the Ivy League but MIT students edged out Harvard students in a study of cognitive abilities. Some schools compete on the football gridiron. Others compete in studies like these (photo credit: John Phelan). It turns out MIT students top the results, edging out Harvard students (score one for the non-Ivy Leaguers). Stanford, Northwestern, and Yale students follow right behind. According to “The Harvard Crimson,” “The study also broke down each of the five cognitive areas: Harvard students topped in speed, Dartmouth in attention, Yale in flexibility, …the Rose-Hulman Institute of Technology in memory, and MIT in problem-solving.” Fascinating, huh? And apparently problem-solving scores correlated strongly with a school’s median SAT scores (as reported by “US News & World Report”). What do you think about this study? Is it ridiculous? Do you think it’s a landmark study in measuring human ability among our nation’s college students? Do you think this study should measure cognitive abilities in different ways? Do you think a university should be higher on the ranking? Let us know your thoughts by posting below about this controversial study that compares the cognitive abilities of American university students. Oh, and do you think this will add flames to the Harvard-MIT rivalry? We guess if they can’t compete in football, they can at least compete in a cognitive abilities study! This is a stupid, non-scientific study. It was created by a Stanford grad to make up for his alma mater’s fall in the rankings. So now we are supposed to rank colleges based on how well students play Angry Birds? I’m not a fan of standardized tests in general, but why should we value Lumosity’s test any more than the SAT, which has been taken by millions of college students for decades? Or why not take look at Nobel prizes by alums–Cambridge, UChicago, and Columbia beat MIT and Stanford. Some might say MIT students are rather limited and not creative, since MIT isn’t exactly known for turning out great writers. This a shallow marketing press release designed by a Stanford student to promote his startup company–but then do believe all the garbage you find on the internet. No one does any fact checking or critical thinking these days. This comment is silly because if one compares MIT and Harvard, one would see that the size of the graduating class is different. 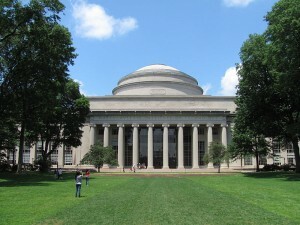 MIT has fewer than 1,000 in each graduating class. It is a small school. A school like Harvard, Columbia or Cornell has more students to try out for football so if 2% of them play football, the bigger school will have more players. It is so dangerous to make conclusions from just one data point when other factors are involved. Also the comment about limited creativity is again off the mark because writing is not necessarily a good measure for creativity. How about inventing a new gadget or getting a patent on something new? The schools are different and people can not rank them in a straight comparison really because of the different things they offer. Best of luck!